of the Amazon Buy Box! To start winning Buy Boxes, just send an email to contact@sunpricer.com with your Amazon seller name. SunPricer is used by micro-companies, SMEs and multinationals from every sector: high-tech, home, DIY, pets, health, grocery, leisure and so on. SunPricer is a powerful repricer using Amazon MWS account to conquer and keep hold of the Buy Box. 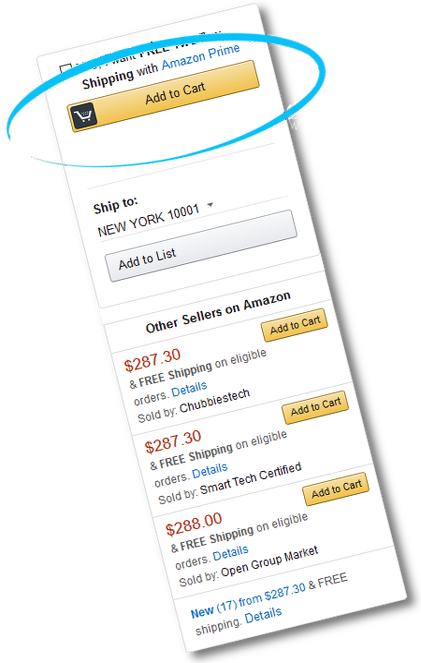 Users of this Amazon repricing solution see an increase in their Buy Box conquest rate. The solution is used by every kind of seller: vendors with a handful of products and those with several thousand, vendors present in several countries, new Amazon vendors, FBA or FBM sellers and vendors who ship their products directly, second-hand goods sellers, etc. Use the analytics reports to track the number of Buy Boxes acquired, your Amazon sales volume and your gross margin. solutions and software. No need to adjust the way you work or to change providers. Use the automatic plugins to connect the Sunpricer data and the most common ERP/CRM software to stay up-to-date with your orders, customers, products, stocks, etc.